Tips on Kroger’s EDI business rules related to EDI Transactions and supply chains ! EDI is becoming more widespread and is used as an effective tool for day-to-day business operations, namely transmission of EDI transactions. 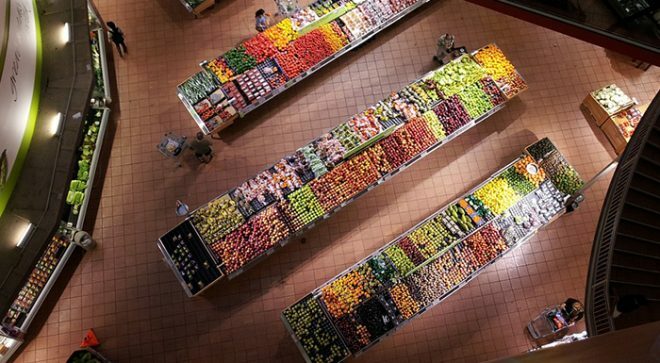 Grocery and food retailers are increasingly collaborating to enhance supply chain efficiency, drive down costs and strengthen the bottom line. Implementing EDI is a key way to do that! So if you are looking to set-up relationship with a grocery retailer, such as the Kroger Company, you will need to become EDI compliant and meet their specific EDI supply chain and EDI transaction requirements. The Kroger Company is an American retailer founded in 1883 in Cincinnati, Ohio. It is the U.S’ largest supermarket chain by revenue, and second-largest general retailer, behind Walmart. This blog will touch on key information regarding Kroger’s EDI transactions as well as some of the business rules you should be aware of when undertaking an EDI initiative with Kroger. What are the EDI transactions required by Kroger ? Let’s start by understanding what is EDI and why do grocers such as Kroger require EDI as integral part of their business operation? Electronic Data Interchange (EDI) refers to the structured transmission of data between organizations electronically. Benefits of transmitting documents through EDI will be seen in many areas, including reduced time and payment delays, reduced labour costs, improved data and inventory accuracy, increased information accessibility, and ultimately, facilitated business activity. 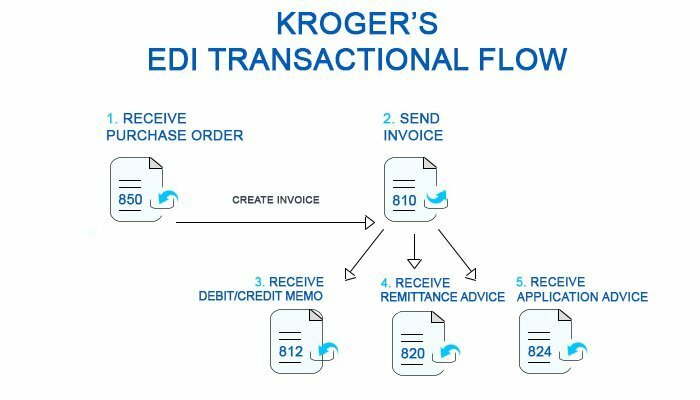 So now you know what the required EDI transactions for Kroger are, but what do these EDI transactions actually mean? The EDI 850 is a Purchase Order transaction set, used to place an order for goods or services. The 850 generally provides the same information you would typically find in a paper Purchase Order (PO) document. Upon receiving a Purchase Order (EDI 850) from Kroger, and preparing your shipment, you will need to proceed with creating and sending an EDI 810 (invoice). The EDI 810 Invoice transaction set is the electronic version of the traditional paper-based invoice document. Payment processing of EDI 810 invoice is naturally faster than that of paper based invoice as data entry and manual processing is avoided. Once Kroger is in receipt of a compliant EDI 810 invoice, they will issue payment accordingly. In addition to the EDI 850 transaction set, there are three (3) other incoming documents you may receive from Kroger. EDI 812 transaction set- is a credit/debit memo, used to communicate adjustment to the charges for products shipped and invoiced. It is essentially the equivalent of a paper credit or debit memo. Kroger may use the EDI 812 transaction set to request an adjustment from you, the supplier. Another incoming EDI transaction you may receive from Kroger is the EDI 820 Remittance advice. The EDI 820 provides the EDI format for transmitting information relating to payments, and is typically used in conjunction with an electronic transfer of funds for payment of goods. Some retailers, in this case Kroger, transmit the 820 EDI transaction directly to their suppliers in order to communicate the details of a pending payment, including any adjustments reflected in the payment. The information provided in an EDI 820 document includes payer and payee identification, bank and account IDs, invoice number, adjustments from an invoice, billed and paid amounts. This information will actually be helpful in allowing you to reconcile the payments you receive (through bank transfer or otherwise) against the EDI 810 invoices you transmitted. Finally, the 824 EDI transaction, refers to as an Application Advice. The EDI 824 is similar to an error notification, if you will. This EDI transaction set will be used by Kroger as a means to communicate errors related to a previous EDI transaction, in this case, your EDI 810 invoice. Receiving an 824 EDI transaction will allow you to identify, correct and re-transmit the rejected EDI 810, in effort to avoid incurring EDI non-compliance charges or delayed payment processing. 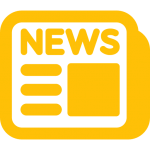 Please take note- you WILL absolutely need to re-transmit the corrected EDI 810 file in order for the EDI transactional flow to be completed successfully, and for payment to be issued by Kroger. So these are Kroger’s required EDI transactions you will need to comply with. However, it is important to note that Kroger may choose to implement in the future new EDI transactions, such as EDI 856 Advanced Ship Notice, for example, at which point you will need to comply. Once your EDI set-up with Kroger has been completed, you will be automatically moved to EDI production status, whereby you will be able to receive production EDI 850 purchase orders. Kroger does not require any EDI testing for either incoming or outgoing EDI transactions (EDI 850 and EDI 810). In this case, it is extremely important that you make sure that your EDI data is compliant with Kroger’s EDI guidelines and EDI business rules as you do not have preliminary opportunity to test your EDI transactions and ensure 100% EDI compliance, prior to receiving production EDI documents. This therefore leaves you more vulnerable to the risk of having EDI errors due to EDI non-compliance issues. This is where your due diligence skills should kick in! Unless you have an experienced team in house of EDI experts who know how to map and can produce compliant EDI output, you will need to use a third party EDI provider to manage your EDI set-up with Kroger, as well as production data, on your behalf. Do your research! Make sure you enlist the services of a reputable third party EDI provider, who has the experience of working with Kroger and who has transmitted countless EDI transactions on behalf of its suppliers. Some EDI providers, such as EDI Gateway Inc for example, use fully EDI compliant tools, whereby they embed validation maps in their back end systems to allow the tools they use to detect EDI non-compliance errors and, therefore, ensure that the outgoing EDI data that is transmitted to the retailers is 100% EDI compliant with the latter’s business rules and EDI guidelines. So be sure to choose wisely! Now that you are set up for EDI and in production, Kroger will transmit an EDI 850 (purchase order) and will expect an EDI 810 (invoice) file back. It is important to note that you cannot consolidate multiple purchase orders on the same invoices. Each invoice (EDI 810) must correspond to a single purchase order. Finally, Kroger allows for both charges and allowances to be applied to EDI 810 invoices. We highly recommend that you read Kroger’s vendor manual and familiarize yourself with all the different business rules associated with each EDI transaction. This is especially important if you are integrated and are using your in-house EDI system to transmit EDI documents to Kroger, so to be able to avoid unnecessary EDI non-compliance charges. Having such EDI capability will definitely allow you to generate and transmit EDI 810 invoice files through an automated process, without manual intervention, while achieving 100% EDI compliance, increasing productivity and reducing EDI transaction costs, whether by using your ERP system or accounting package, or even an FTP file transfer. Having access to relevant EDI information, as well as the business rules you need to comply with is extremely important and will likely make all the difference in the world as you immerse yourself in the complex and daunting task of implementing EDI. Information is knowledge and knowledge, is power! We trust that this blog has been informative and we wish you luck with your EDI initiative with Kroger!